ICAN of Los Angeles | Prevention. Recovery. Advocacy. 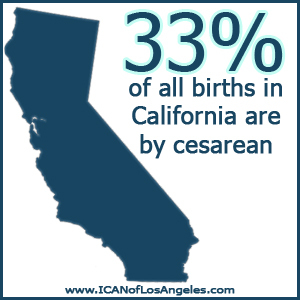 ICAN of Los Angeles is a chapter of the International Cesarean Awareness Network, a nonprofit organization whose mission is to improve maternal-child health by preventing unnecessary cesareans through education, providing support for cesarean recovery, and promoting Vaginal Birth after Cesarean (VBAC). Have you had a C-section and need support from other moms who have been there? Do you want VBAC information, resources and support? Do you want to learn how to prevent an unnecessary C-section? Do you want to promote normal, evidence-based birth practices? If you answered yes to any of these questions, you belong with ICAN! Help us to reduce that number, one birth at a time. International Cesarean Awareness Network is a 501(c)3 non-profit advocacy and support group. ICAN’s mission is to improve maternal and child health by preventing unnecessary cesareans through education, providing support for cesarean recovery, and promoting vaginal birth after cesarean (VBAC). Join Us For A Live CBAC Story!